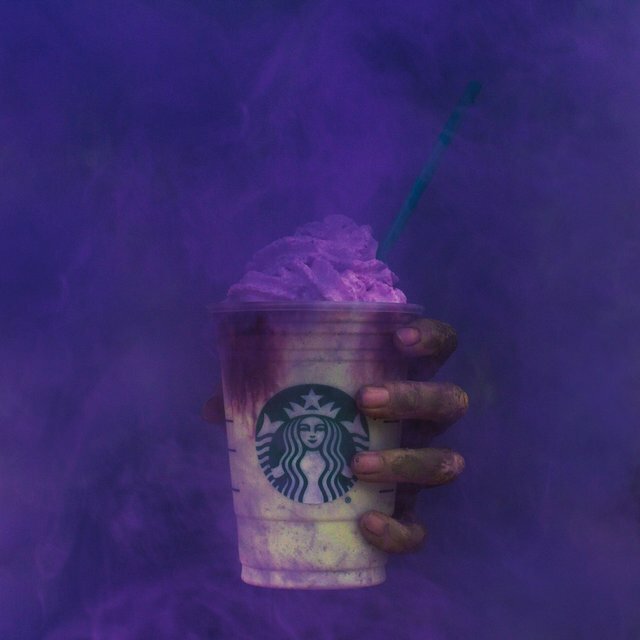 Just when you thought the world was safe from alarmingly colorful Instagram-bait drinks like the Unicorn Frappuccino earlier this year, Starbucks has unleashed a similarly wild new drink to take over your feed this Halloween. Fittingly dubbed the Zombie Frappuccino, the sugary blended drink is basically the Unicorn Frappuccino back from the dead. Starbucks officially announced the creepy conjuring in a cup on Thursday, several days after leaked internal training documents spoiled the surprise on social media. The living can get their hands on one from now through Halloween at most of the coffee giant’s locations in the United States and Canada, according to a press release. That is, if you’re prepared for a zombie-like sugar coma. 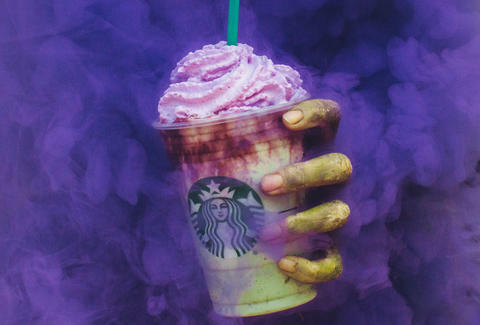 Just like the Unicorn Frappuccino’s bizarre blue and pink colors, the Zombie Frappuccino boasts a “ghastly green” hue that’s just begging to be oversaturated with the Lo-Fi filter. Starbucks said you can expect a plastic pumpkin pail full of flavors like tart apple, caramel, and chocolate, although it doesn’t contain any coffee (it’s dead, remember?). The liquid candy bar comes topped with pink whipped cream “brains” and a drizzle of blood-like red mocha sauce. So far, it remains to be seen if wearing a costume makes it acceptable to drink. All said, the drink finally adds a zombie to the chain’s monster mash of vampire- and Frankenstein-themed Halloween flavors over the years. It’s much cooler to think of it as a rabid undead unicorn, though. Tony Merevick is Senior News Editor at Thrillist and might like this if it tastes like those caramel apple suckers. Send news tips to news@thrillist.com and follow him on Twitter @tonymerevick.